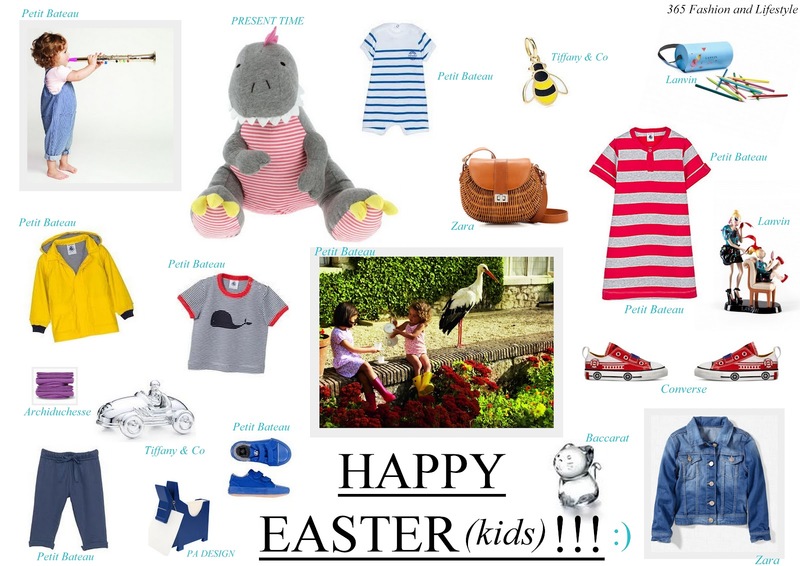 365 Fashion and Lifestyle: HAPPY EASTER (kids) !!! photo: Petit Bateau (blue sneakers, boys T-shirt, Yellow Jacket, blue pants, green t-shirt, dress), Baccarat, Converse, Zara, Tiffany & Co, Lanvin, Colette, Archiduchesse. As I promised, today's article is dedicated to fashionable kids. To whom I would like to wish a HAPPY EASTER, no matter when (today or in about a week from now) they celebrate this special religious holiday.